Palau is the jewel of Micronesia. It is a wonderland of surreal tropical beauty, World War II relics, healing lagoons, a lake of golden jellyfish, and the “Serengeti of the ocean”. Palau is home to over 250 islands and a population of more than 20,000 people. Popular attractions include the Rock Islands, Giant Clam Beach, and Babelomekang. 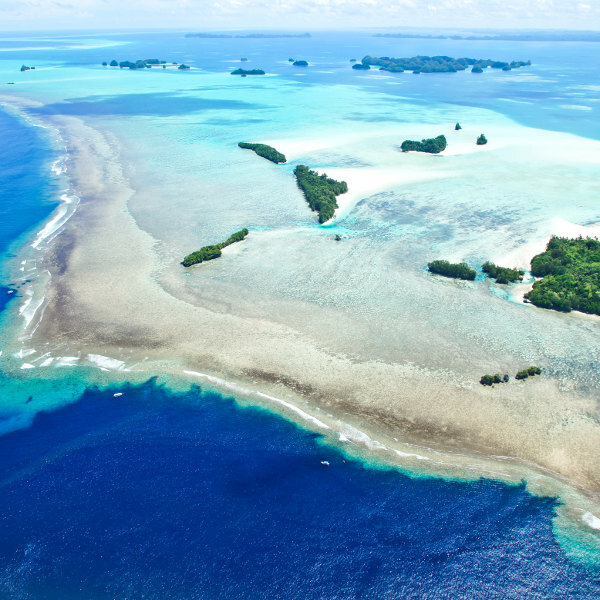 Get ready to discover a paradise in the Pacific Ocean with cheap flights to Palau. The hub airport is Roman Tmetuchl International Airport (ROR), which is a 20-minute drive from Koror, the heart of Palau. Palau is a dream destination for divers. Some of the best dive sites include the famous Blue Corner, otherworldly Blue Holes, Chuyo Maru and Helmet Wreck, and iconic German Channel. On land and beneath the waves, Palau abounds with fascinating historical attractions. 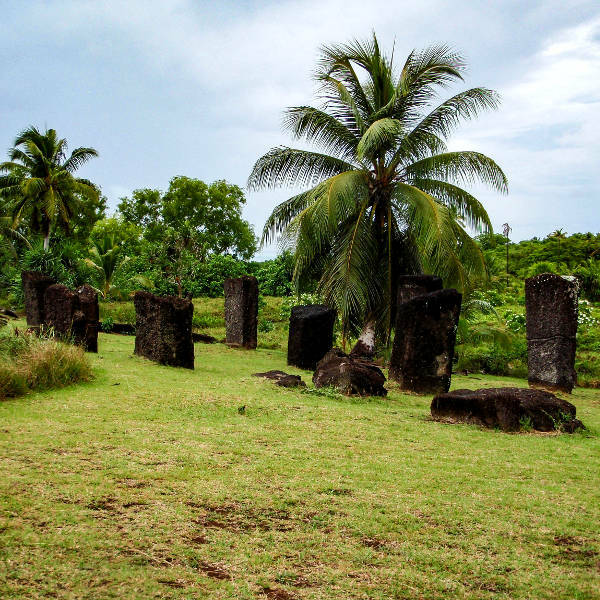 Babeldaob Island is home to mysterious megalithic sites, while Peleliu Island is scattered with relics and ruins from WWII. This secluded lagoon within the Rock Islands tempts travellers with its electric blue water and limestone mud that is said to make those who bathe in it look ten years younger. Palau experiences a tropical rainforest climate with a dry season between December and March and rainy season from April to November. The islands experience moderate rainfall throughout the year. Although there is no “best time” to visit Palau, the high season for diving is from December to March. For cheap flights to Palau, the best time to visit is from May to June and September. Low key and lost in the middle of the Pacific, in a magical stretch of ocean known as Micronesia, Palau is a place that is hard to reach and impossible to forget. The islands have been around since about 2500 BCE and comprise of more than 300 islands and islets. Secret beaches and beautiful lagoons lace between emerald mounds known as the Rock Islands, an iconic group of limestone islands between Koror and Peleliu. The Rock Islands and surrounding reefs are home to some of the most spectacular dive spots in Palau. They were declared a UNESCO World Heritage Site in 2012. Dubbed "the underwater Serengeti”, Palau is a dream destination for divers and snorkellers. Unforgettable dive spots include: the Blue Holes, German Channel, Chandelier Cave, Blue Corner, Ngemelis Wall, Ngerchong Coral Gardens, and famed Siaes Tunnel. For nature lovers, adventurers, and history buffs, the island of Babeldaob unfolds like an explorer's map: ancient paths carve through dense jungle that hide beautiful freshwater lakes, magnificent waterfalls, old hillside terraces and villages, relics from World War II, and mysterious Badrulchau monoliths carved with ethereal faces. Compare several airlines and book your cheap flights to Palau online at Travelstart! 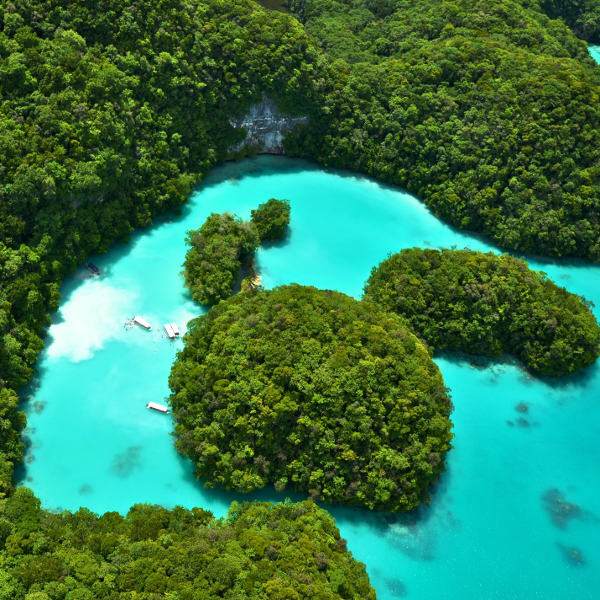 Palau is generally considered a safe destination. However, petty crime does happen, so you should use common sense and ensure your valuables are secure at all times. Travel insurance is recommended. You should also familiarise yourself with the local laws and customs before arriving in Palau. A significant number of explosives are left over from World War II (particularly in Peleliu and Angaur) so caution is recommended when diving or exploring the islands. Although there are no signs, saltwater crocodiles are present in the mangroves so caution should be taken. A vaccination certificate for yellow fever is required if you are travelling from a country with risk of transmission. Precautions should be taken to avoid mosquito bites, as Zika virus, chikungunya, and dengue fever are a risk in Palau. Recommended vaccinations include: hepatitis A & B, typhoid, rabies, MMR, diphtheria-tetanus-pertussis, meningitis, varicella, polio and influenza. Stick to bottled water.